Tim Barnett is plagued by a recurrent nightmare involving an old man, a dog and a golden urn with a weird writing. 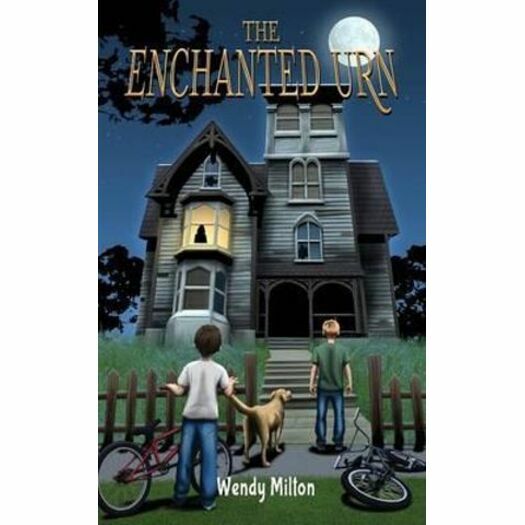 His eccentric Aunt Maudie tells him his nightmare is a window into the past. The old man is his great, great grandfather, Colonel Tobias Barnett, and the dog is Goldie, the Colonel's faithful retriever. The urn is both enchanted and cursed: enchanted insofar as it has the power to reunite the souls of Tobias and his beautiful wife, Gwynneth (Tim's great, great grandmother) and cursed because its theft has doomed Tobias to "a cycle of rebirth". Until the urn is recovered Tim's great, great grandfather will be continually reborn as a dog. Tim has made the unwelcome discovery that he can hear animals talking. This worries him more than the nightmare. Is he crazy? Gramps says the animals he talks to are "departed souls" but Gramps is losing it. Losing Gramps is another of the things Tim has to face. However, his fierce loyalty to his grandfather is stronger than any embarrassment he may feel over Gramps' dogged determination to pursue his lifelong dream of becoming a magician. Tim joins his Aunt Maudie and Gramps in an attempt to find the urn and reunite the souls of his great, great grandparents. He's helped in this by his best friend, Monty McClintock, and a girl called Kirsty Langford. But the three children aren't the only ones looking for the urn. There are a number of disreputable urn seekers, including descendants of the original thief, a female swindler and the urn's mysterious creator.